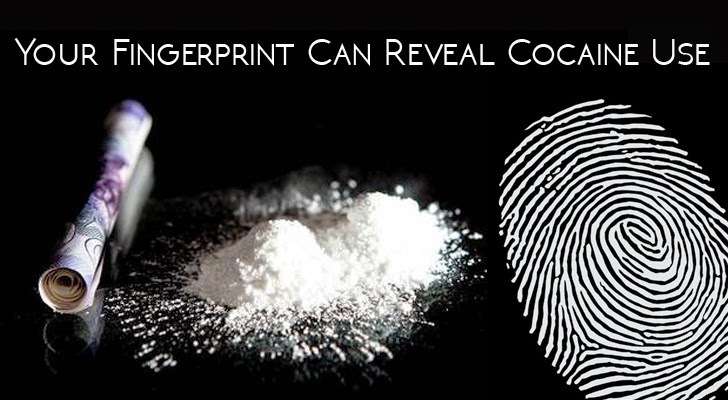 If you are one of those using cocaine, law enforcement officials may soon catch you by simply examining your fingerprints. Scientists have developed a new type of drug test that can tell whether you have taken cocaine by analyzing chemical traces left behind in your fingerprint. A team of scientists led by the University of Surrey discovered a test that makes use of the Mass spectrometry chemical analysis technique – a method proved more accurate than those currently used saliva, blood or urine samples relied on by authorities. "When someone has taken cocaine, they excrete traces of benzoylecgonine and methylecgonine as they metabolize the drug, and these chemical indicators are present in fingerprint residue," said Dr. Melanie Bailey, the lead researcher from the University of Surrey. A person’s fingerprint sample is treated with a mixture of methanol and water in an attempt to locate the traces. A mass spectrometer is then used to analyze the print by detecting chemicals based on person’s atomic size. Researchers believe their fingerprint method would be quicker, less invasive, more accurate, more hygienic and much harder to fake than existing tests. Drug testing is used routinely by courts, prisons, probation services, and other law enforcement agencies. However, traditional drug testing methods are time-consuming and have some limitations. Like if I talk about blood testing, drawing blood from a person’s body takes several minutes as well as requires trained staff. Urine tests also have some privacy concerns. Moreover, methods like blood, saliva, or urine can be biological hazards, and often require specific storage and proper disposal methods. However, scientists believe their new fingerprint method could help law enforcement to carry out portable drug tests within the next decade. The method would also be useful for the workplace testing, where you want high-throughput. However, before using this new Cocaine test methodology in real life scenarios, scientists need to do extensive testing for reliability. The Team believes that they would be able to deliver first working unit to medical law enforcement personnel within next few years. Bailey conducted the study involving scientists from the Netherlands Forensic Institute, King’s College London, the UK’s National Physical Laboratory, and Sheffield Hallam University. The findings of the research were published in the journal Analyst on Friday.